The following are a few video tutorials to get you familiar with the program and some of its features, along with several tips that will ensure a successful project from start to finish (to go fullscreen, click the symbol highlighted in green). 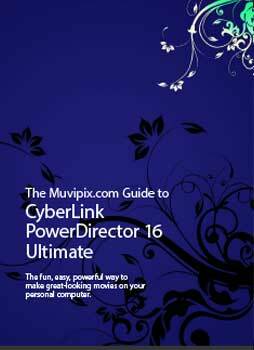 PowerDirector is the fun, easy - but nonetheless surprisingly powerful - way to make great-looking movies on your personal computer. Steve Grisetti, founding member of videomaker support site Muvipix.com, shows you how to use all the tools in this amazing little program to make and publish professional-looking videos.